What is the cheapest way to get from Orchard Road to City Hall? 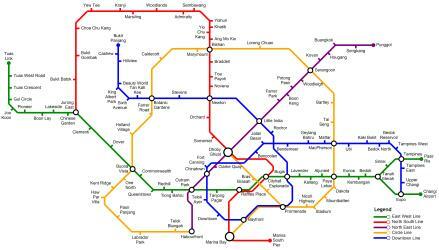 The cheapest way to get from Orchard Road to City Hall is to subway which costs $1 - $3 and takes 11m. What is the fastest way to get from Orchard Road to City Hall? The quickest way to get from Orchard Road to City Hall is to taxi which costs $7 - $9 and takes 3m. 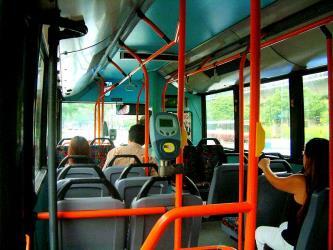 Is there a direct bus between Orchard Road and City Hall? 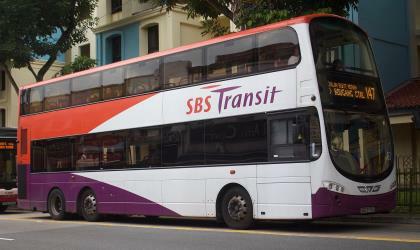 Yes, there is a direct bus departing from Tang Plaza and arriving at Opp S'pore Cricket Club. 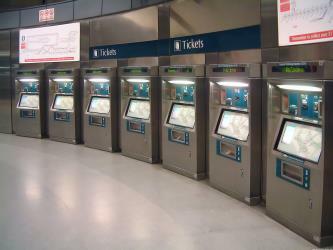 Services depart every five minutes, and operate every day. The journey takes approximately 10m. How far is it from Orchard Road to City Hall? The distance between Orchard Road and City Hall is 3 km. How do I travel from Orchard Road to City Hall without a car? The best way to get from Orchard Road to City Hall without a car is to subway which takes 11m and costs $1 - $3. How long does it take to get from Orchard Road to City Hall? 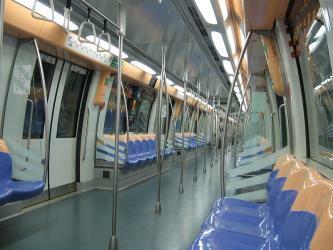 The subway from Orchard to City Hall takes 5m including transfers and departs every five minutes. Where do I catch the Orchard Road to City Hall bus from? 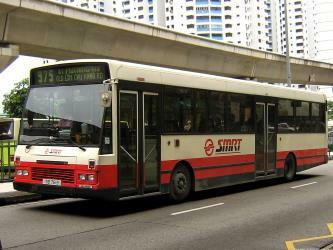 Orchard Road to City Hall bus services, operated by SMRT, depart from Tang Plaza station. 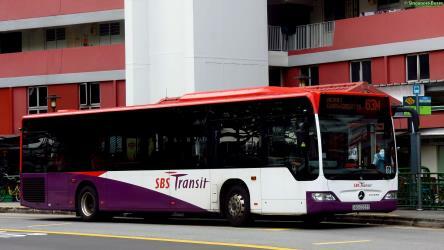 Where does the Orchard Road to City Hall bus arrive? 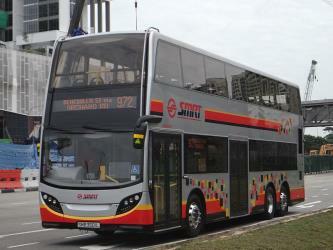 Orchard Road to City Hall bus services, operated by SMRT, arrive at Opp S'pore Cricket Club station. Where can I stay near City Hall? There are 1377+ hotels available in City Hall. Prices start at $45 SGD per night. What companies run services between Orchard Road, Singapore and City Hall, Singapore? 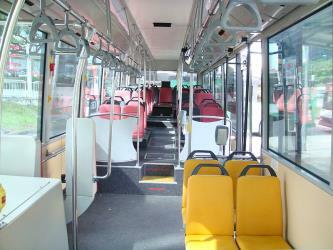 SMRT operates a bus from Orchard Road to City Hall every 5 minutes. Tickets cost $1 - $3 and the journey takes 10m. Want to know more about travelling around the world? Rome2rio's Travel Guide series provide vital information for the global traveller. Read our range of informative guides on popular transport routes and companies - including Travelling to the US: What do I need to know?, Train travel in France: A guide to SNCF and How to travel India's Golden Triangle - to help you get the most out of your next trip. The City Hall (Malay: Dewan Bandaraya; Chinese: 政府大厦; Tamil: நகர மண்டபம்) in Singapore is a national monument gazetted on 14 February 1992. It can be found in front of historical Padang and adjacent to the Supreme Court of Singapore, it was designed and built by the architects of the municipal government, A. Gordans and F. D. Meadows from 1926 to 1929. A flight of stairs takes visitors from the Corinthian colonnade to the main building. The building was constructed to replace several houses designed by architect G.D. Coleman. It was first known as Municipal Building until 1951 when Singapore was granted city status by King George VI. Marina Bay is a bay located in the Central Area of Singapore surrounded by the perimeter of four other planning areas, the Downtown Core, Marina East, Marina South and Straits View. The area surrounding the bay itself, also called Marina Bay, is a 360 hectare extension to the adjacent Central Business District. Gardens by the Bay is a nature park spanning 101 ha of reclaimed land in central Singapore, adjacent to the Marina Reservoir. The park consists of three waterfront gardens: Bay South Garden, Bay East Garden and Bay Central Garden. The largest of the gardens is Bay South Garden at 54 ha. The Singapore Botanic Gardens is a 158-year-old tropical garden located at the fringe of Singapore's Orchard Road shopping district. It is one of three gardens, and the only tropical garden, to be honoured as a UNESCO World Heritage Site. The Botanic Gardens has been ranked Asia's top park attraction since 2013, by TripAdvisor Travellers' Choice Awards. It was declared the inaugural Garden of the Year, International Garden Tourism Awards in 2012, and received Michelin's three-star rating in 2008. The Singapore Flyer is a giant Ferris wheel in Singapore. Described by its operators as an observation wheel, it opened in 2008, construction having taken about 2½ years. It carried its first paying passengers on 11 February, opened to the public on 1 March, and was officially opened on 15 April. 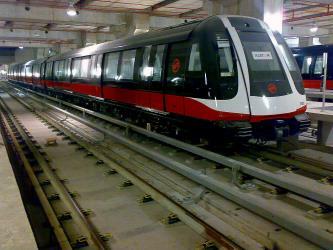 It has 28 air-conditioned capsules, each able to accommodate 28 passengers, and incorporates a three-storey terminal building. Rome2rio makes travelling from Orchard Road to City Hall easy. Rome2rio is a door-to-door travel information and booking engine, helping you get to and from any location in the world. 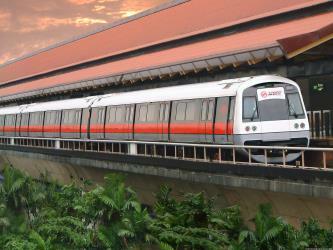 Find all the transport options for your trip from Orchard Road to City Hall right here. Rome2rio displays up to date schedules, route maps, journey times and estimated fares from relevant transport operators, ensuring you can make an informed decision about which option will suit you best. Rome2rio also offers online bookings for selected operators, making reservations easy and straightforward.